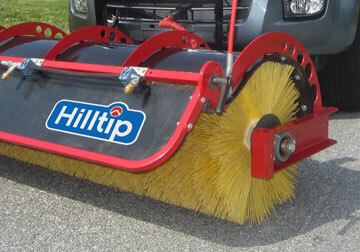 HillTip SweepAway™ | Rotary Broom for Pickups, Trucks and Tractors. 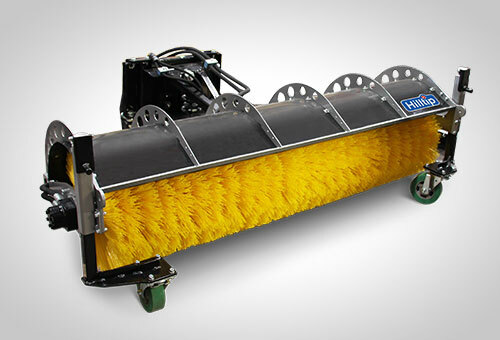 The HillTip Sweeper is a unique rotation brush for mounting on pick-ups with HillTip Quick hitch mounting frame, or STR & VTR frames (tractor). 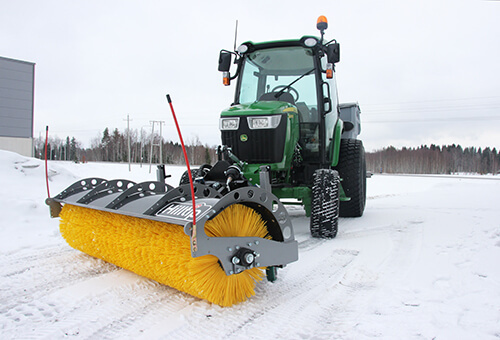 Designed for 2,5-5,5 ton Trucks and tractors and has a brush diameter of 50 cm. 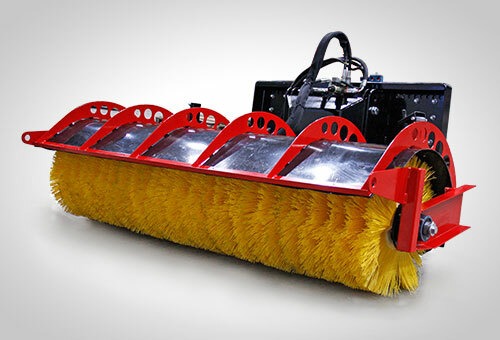 The Sweeper operates with 1 x hydraulic function, minimum 40l/min. If no PTO it requires a power unit with 45l/min output. 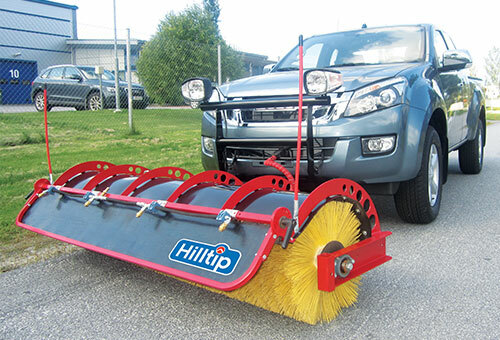 The HillTip Power unit is designed for heavy on site work, or for mounting on trucks as power source for sweepers, spreaders, high pressure washers etc. It is equipped with a Kohler Patrol Engine.